When discussing who discovered magnesium, three individuals should be recognized: Joseph Black, Sir Humphry Davy, and Antoine A.B. Bussy. 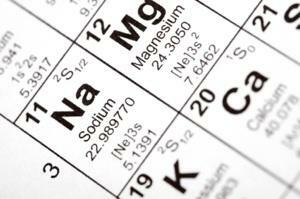 Studies are still ongoing when it comes to magnesium and its possible applications. However, it all began with its discovery, which can be credited to three individuals, as each chemist is associated with a major breakthrough. Joseph Black: A Scottish physician, physicist, and chemist who first recognized that magnesia (MgO) was its own compound in 1755. He found that it was altogether separate from calcium carbonate. Sir Humphry Davy: British chemist widely credited as the person who discovered magnesium in 1808. A pioneer in electrolysis, Davy used the then-new method to isolate magnesium into its own element. Antoine A.B. Bussy: A French chemist who was the first to discover a way to isolate magnesium in large quantities. He published his findings in 1831, in "Mémoire sur le Radical métallique de la Magnésie". For the question "Who discovered magnesium? ", the most common answer is Sir Davy. His work in electrolysis not only isolated magnesium, but in 1808, his banner year met with the discovery of five periodic elements: barium, calcium, boron, strontium, and magnesium.For his breakthrough Sir Davy used electrolysis on a mixture of magnesium oxide (MgO) and mercuric oxide. The resulting amalgam of mercury and magnesium was heated in a glass tube to drive off the mercury, leaving behind pure magnesium. For his discovery, Bussy found a way to produce quantities of magnesium. To do so, he heated magnesium chloride and potassium in a glass tube and then washed out the newly formed potassium chloride. What was left was magnesium.